DHABA WAYESSA (President), MFA, is a novelist, playwright, filmmaker and journalist of renown in his home country of Ethiopia. Dhaba earned his BA and MFA in film from Howard University. His film, The Fallen Beats won the Black Filmmakers’ Hall of Fame Award and the Paul Robeson Creative Excellence Award for best short film. VOA Television broadcast The Fallen Beats and Dhaba’s short, At the Edge of the Day. His screenplay, Hibboo (Riddle), also won a Paul Robeson Honorable Mention Award for Feature Scriptwriting. 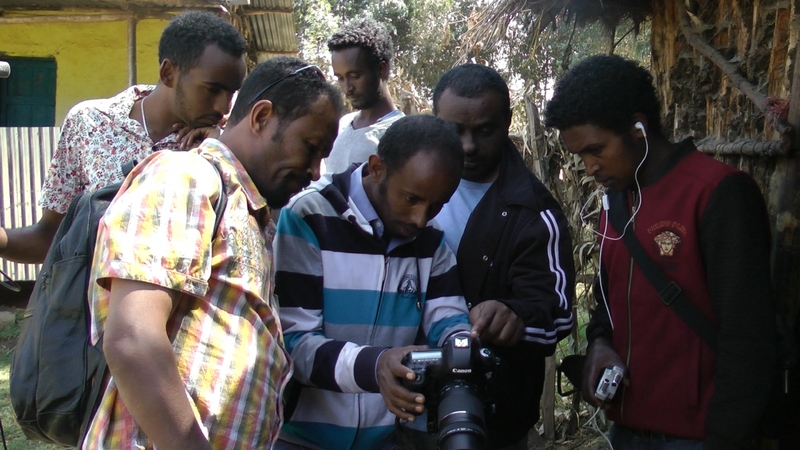 Two of his feature films Hibboo and Halkan Dorrobaa are available for development. Dhaba lives in Washington D.C with his wife and four children, where has been an international broadcaster and editor at Voice of America for over 19 years, writing, editing and broadcasting domestic and international news and features. At VOA he has been honored and received superior achievement awards many times for his collegial leadership and distinguished journalistic accomplishments. Subject to the direction of the board, Dhaba, as a president, supervises and oversees the day-to-day management of the business, affairs and property of Sandscribe Foundation. HAIMANOT R. GOBENA, BA, is a private business owner and manager. Prior to franchising a 7-Eleven store, she gained an extensive experience as a nurse, IT Support and Civic Education expert in various institutions in Ethiopia, Australia and United States. 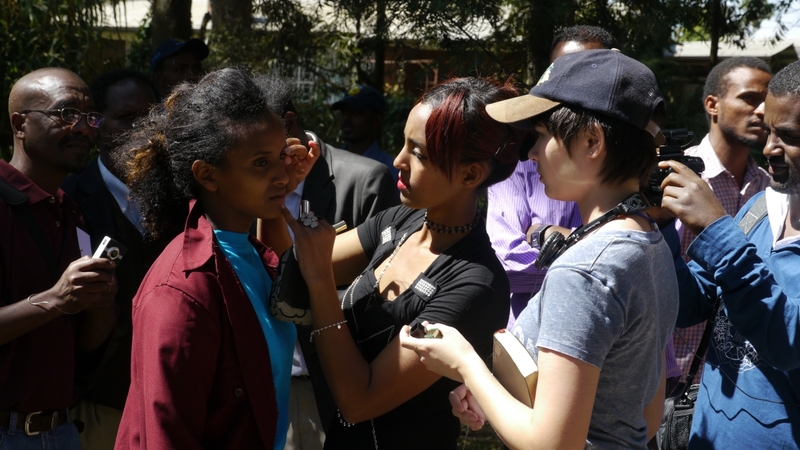 She earned her BA in Political Science and International Relations from Addis Ababa University, Ethiopia, an IT Diploma with honors from Martin College, Western Australia, and LPN Diploma with honors from Radians College, Washington DC. In her spare time, she enjoys shooting and editing still pictures and videos. In addition to managing the standard practices of Sandscribe’s Board of Directors, Mrs. Gobena focuses on crafting strategies and action plans to empower unprivileged women and children by providing them need-based support and training opportunities in film, media and related fields in accordance with the vision and mission of Sandscribe. SUSAN E ISAACS (Secretary), MFA, is a writer, actor and professor with credits in TV and film, including Planes Trains & Automobiles, Scrooged, “Seinfeld” and a recurring role on “Parks & Recreation.” Her memoir, Angry Conversations With God, was named a top-ten religion book of the year by Relevant magazine and Publisher’s Weekly. She speaks at colleges and organizations around the country, and toured with author Donald Miller. Susan earned her MFA in screenwriting from the University of Southern California. She has taught graduate screenwriting at Pepperdine University, and currently teaches screenwriting and sketch comedy at Azusa Pacific University. She also directs plays for the university. Susan consults with Sandscribe on the institute’s curricula, as well as assisting the foundation in fundraising and development. REGASSA E. NAMARA, PhD, is a senior economist at The World Bank with over 28 years managerial, teaching, research and development experience at national, regional and international levels. He has a wide range of expertise including project planning, implementation and evaluation; and policy analysis. He has extensively travelled and worked in many African, Asian, and European countries in various capacities. Received awards and certificates of recognitions, he has about 100 scientific publications, of which 52 are in peer reviewed journals, books, and proceedings. In addition to his present career at the World Bank, Regassa had provided consultancy services or worked with major international organizations including International Water Management Institute (IWMI) and African Development Bank. Regassa earned his M.Sc. and PHD degree in economics from University of London, England, and from Goettingen University, Germany consecutively. He is consulting with Sandscribe Foundation on project development. His major focus is advising and crafting outreach strategies to ensure justifiable access to and benefits from the foundation’s services.